In case you weren’t aware, people tend to be obsessed with the idea of paying off their mortgages. For many, it’s a major lifelong goal to pay off the mortgage in full. For others, it’s a nagging debt that they’d prefer to take care of sooner rather than later, for better or worse. Regardless of the reason, or whether it’s a good idea to pay off the mortgage early or at all, many individuals seem to be all about it, even with mortgage rates near record lows. Fortunately, there are plenty of methods to chip away at the mortgage to reduce the term from 30 years to 15 years or even less. One common way is via a home equity line of credit (HELOC), but the major drawback you’ll always hear about is the fact that HELOCs are adjustable-rate loans. They are tied to the prime rate, which currently sits at a low, low 3.25%. However, it is widely believed that the Fed will raise rates soon, and prime will rise along with it. In other words, it’s a bit of a risky endeavor to go with a HELOC in a rising interest rate environment, especially since most homeowners these days have interest rates in the high 3% range already. So I got to thinking about an alternative that is potentially safer, yet still knocks out a lot of the mortgage interest while allowing one to pay off their mortgage slightly faster if they’d like. With a home equity loan, you get the best of both worlds. A low interest rate and a fixed interest rate. The major downside is that the amortization period will likely be a lot shorter if you want to snag a low rate and save on interest. So instead of a 25-30 year loan term you’d see with a HELOC, you might be looking at a five-year term. This has its benefits as well because it means you only need to make payments for 60 months. Currently, I’ve seen home equity loans priced at 3.25% with 60-month terms on loan amounts from $10,000 to $400,000 with no closing costs. Let’s assume you originally took out a $200,000 mortgage a decade ago on a property valued at $250,000. It’s a 15-year fixed set at 6%. Not bad for the time, but rates are a lot lower today. 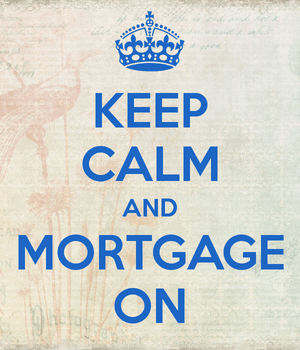 And let’s pretend that you want to save money on your mortgage, either by refinancing or making extra payments. Instead, you could open a short-term home equity loan to pay off the remaining balance on your first mortgage. After 10 years of payments, you might be looking at an outstanding loan amount of $87,000. If you took out a home equity loan for that amount, you could apply it to your first mortgage and reduce the balance to zero. If you let your 15-year loan play out as scheduled, you’d pay roughly $104,000 in interest over the full term. However, if after 10 years you took out a five-year home equity loan with a rate of 3.25% for the remaining balance, roughly $87,000, you’d save some cash and lower your monthly payment for the remaining five years. In all, you’d save about $6,600 by using the home equity loan to pay off your existing first mortgage. Additionally, you’d have a slightly lower monthly payment…closer to $1,573, as opposed to the original $1,688 a month you were previously paying. It might not seem like much, but many of these home equity loans don’t have closing costs, or if they do, they’re minimal. And it’s pretty easy to apply for one. If you wanted to pay off your mortgage even faster, you could simply make larger payments on the home equity loan to match your old payment, or pay even more. Just watch out for any prepayment penalty. In summary, this is a relatively simple way to reduce the interest expense on your first mortgage, without the risk of interest rate fluctuations that are common with HELOCs. Just do the math to ensure it actually makes sense and is worth your time and energy. For those still in the early stages of their mortgage, you can make extra payments to principal each month to reduce your interest expense and shorten your term. I owe 21k on my condo and have 100k HELOC. Will BOFA give me a Home Equity Loan for such a small amount. Right now, if I use my HELOC I will save $40 per month and the additional interest. Can’t you just replace the HELOC with another one and use the amount you need to pay it off? You could but both will be tied to prime. (the same).. Where is the benefit? I have a mortgage loan for 100k, 4.0 fixed rate for 30 years and I have 50k in cash. I have a variable loan now that changes annually. Currently it is at 3.75%interest. We bought our home in late 2004 and our current mortgage balance is $340K. Our house is valued at $650K. Rates are rising and each year we are worried about our next annual payment. Can we take out an equity loan on our property to pay off our mortgage? Can we? Would this be best? Can we get a 15 year equity loan? I like the possibly of no closing costs compared to refinancing?? You could look into it, but it sounds like you’ve still got a pretty big balance there. A 15-year fixed might make sense if you’re not opposed to refinancing your first mortgage. The lower outstanding balance plus the lower interest rate on the 15-year fixed could result in a similar monthly payment, or an even lower one, and a faster payoff. You’ll also have a fixed rate. I have a 150k mortgage and a 150k equity loan both has about 7 years left before they are paid off. My house is worth 950k. I also have a condo that I rent out, it’s worth 280k with no mortgage. What should I do to save money? I’m thinking about taking a equity loan on the condo to pay off either the mortgage or equity on my house. The only issue with HELOCs right now is that the Fed is expected to raise rates 4 times next year, which would increase the interest rate 1% between now and then. But if it still saves money, it could make sense. It might make better sense just to do a cash-out refi if your current interest rate can be matched or bettered with the 50k you need. A lot of folks are worried rates are going to keep rising, so securing financing for renovations via a home equity loan, then refinancing in the future could be risky if rates are significantly higher at that time. But there’s no guarantee rates will actually be higher. You may want to map out some different scenarios, do the math on each, and decide what you’re more comfortable with. Good luck. I have a rental home valued at 185k, that i owe 87k (5.5% rate) 15 years left. I owe 57k on my primary residence townhome. Is there a loan that I would be able to tap the equity of my rental home to pay off my primary residence. Is it possible to get a new 30 year loan on my rental home with a better rate, continue to rent it out at a profit and live rent/mortgage free in my primary home?